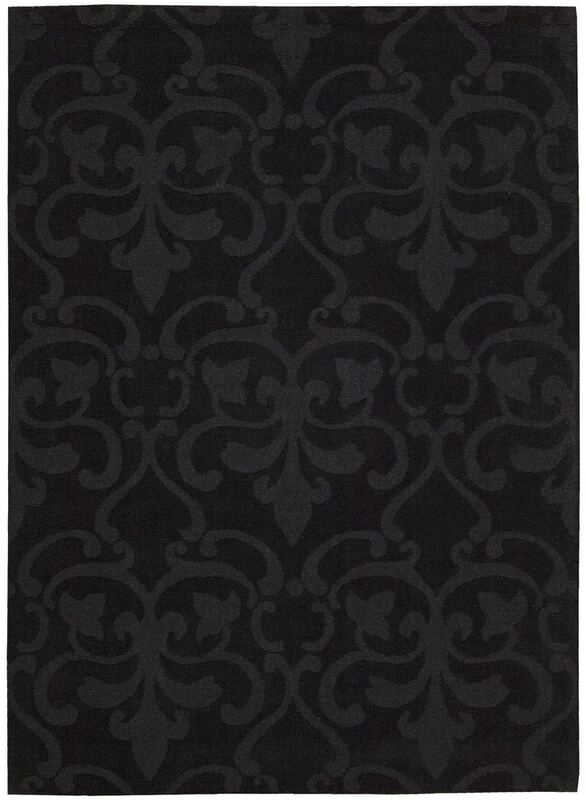 Nourison Nourison Barcelona Charcoal Area Rug BAR04 BAR04 / 3'6" x 5'6"
BAR04 / 3'6" x 5'6"
The Barcelona collection features elegant, tone-on-tone designs, enhanced by the high/low effect of the looped and cut pile construction. These versatile motifs perfectly accent transitional, traditional and modern interiors. Barcelona handloomed carpets offer the softness, long-lasting beauty, and rich color of 100% natural wool, a renewable resource.